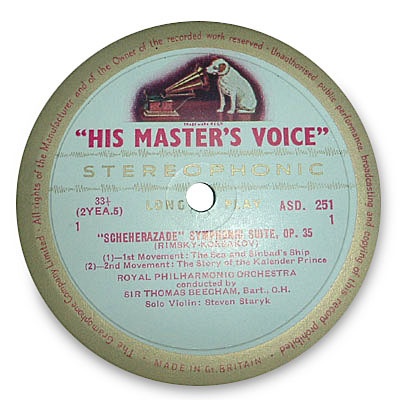 Colour photographs the most popular LP labels, with a chronological guide to their changes and information about where these changes occurred in record label number series. Click images to enlarge. 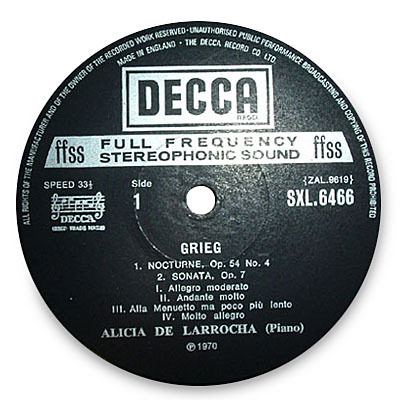 Decca wide band 1st label, grooved with “Original Recording By” at 10 O’ clock. 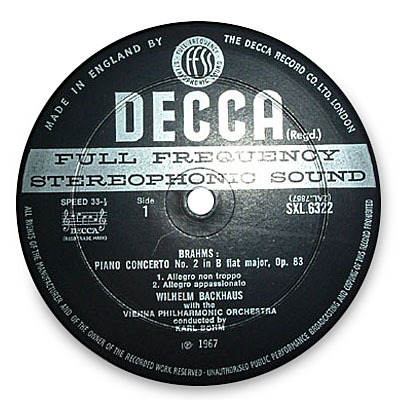 Decca wide band 2nd label, grooved with “Made in England” at 10 O’ clock. 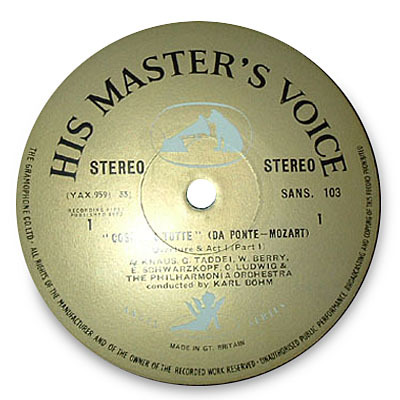 Decca wide band 3rd label, without groove, and “Made in England” at 10 O’ clock. Appears front SXL 6369 – SXL 6448. 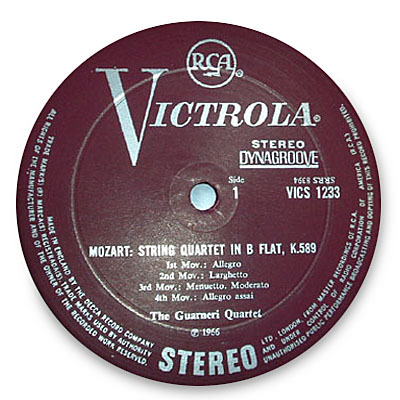 Decca narrow band label from SXL 6448 onwards. 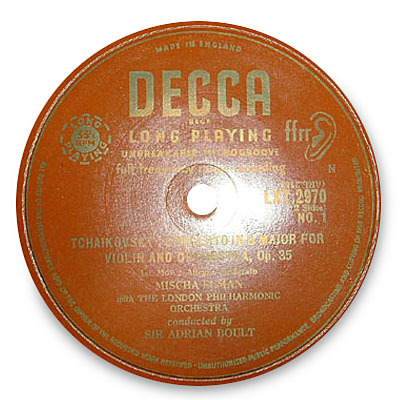 Decca LXT 1st label, gold letters on an orange background. 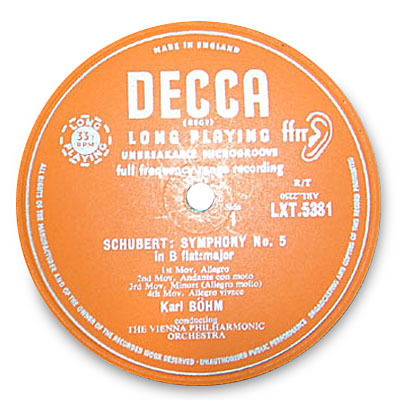 Decca 2nd label, silver letters on an orange background. 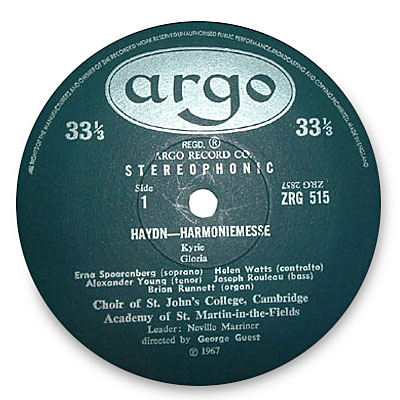 Argo 1st label, with Argo motif in an oval with a groove inside the perimeter of the label. 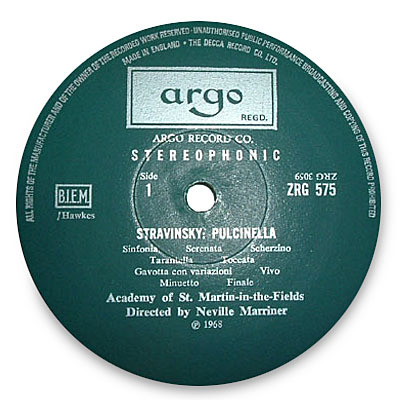 Argo 2nd label, with Argo motif in an oval but without groove inside the perimeter of the label. 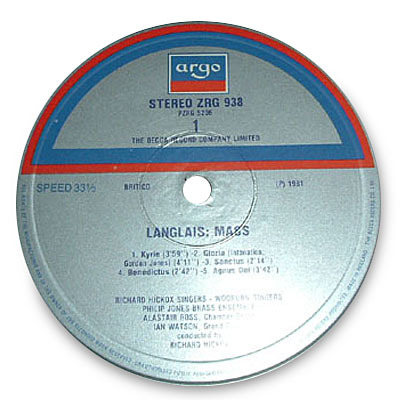 Argo 3rd label, with Argo motif in a rectangle. 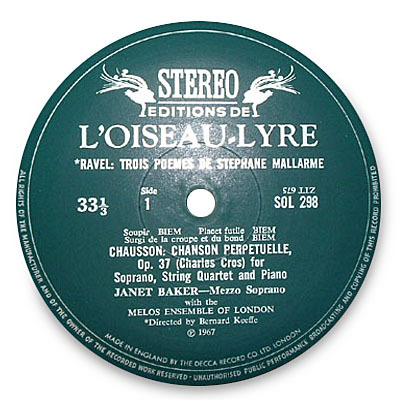 Decca l’Oiseau~Lyre SOL series 1st label, with a groove inside the perimeter of the label. Decca l’Oiseau~Lyre SOL series 2nd label, without groove inside the perimeter of the label. 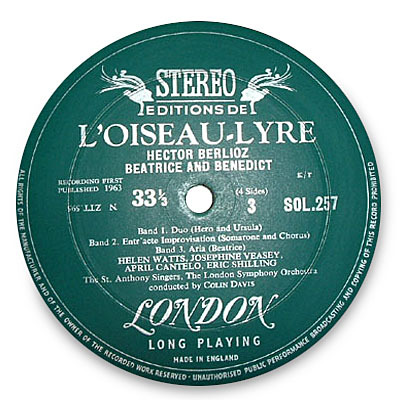 Decca l’Oiseau~Lyre DSLO series 1st label. 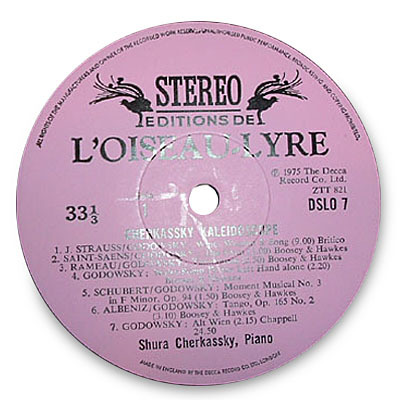 Decca l’Oiseau~Lyre DSLO series 2nd label. 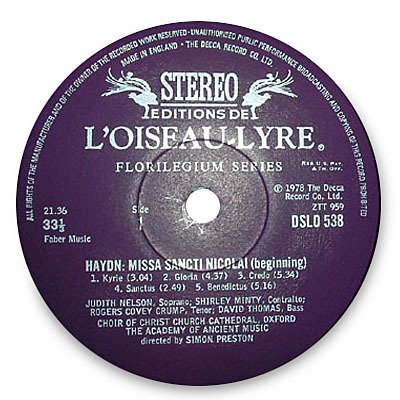 Decca l’Oiseau~Lyre DSLO series 3rd label, made in Holland. EMI ASD series 1st label, “white & gold”. Runs from ASD 251 – ASD 575. 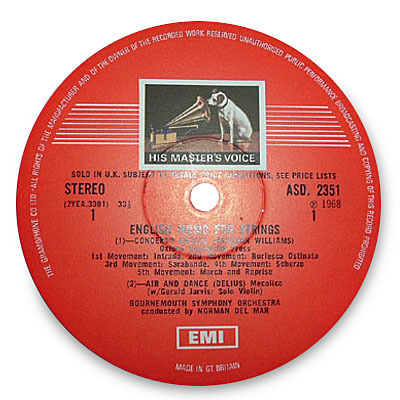 EMI ASD series 2nd label, “semi-circle”. Runs from ASD 576 – somewhere around ASD 2480. EMI ASD series 3rd label, “1st dog in stamp label”. Used up to around ASD 2800. EMI ASD series 4th label, “2nd dog in stamp label” or “black & white dog in stamp”. Used up to around ASD3800. 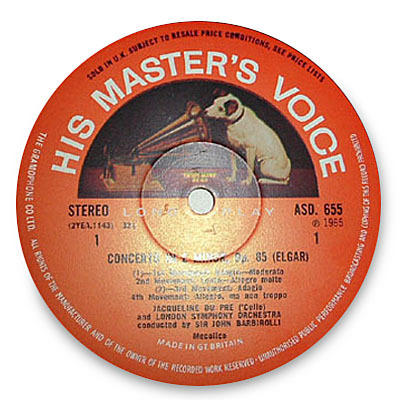 EMI ASD series 5th label, “3rd dog in stamp label”. Used up to around ASD 4000. 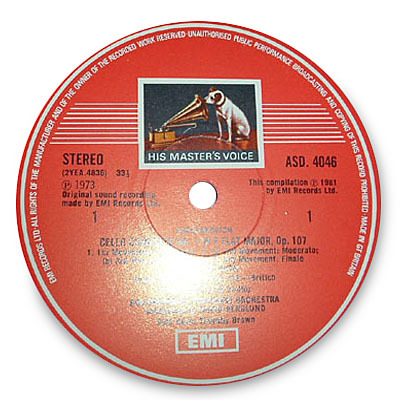 EMI ASD series 6th label, introduced in the 1980’s with a design similar to the 2nd label usually known as “large dog”. 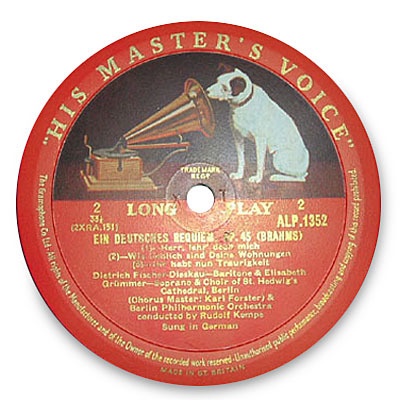 EMI ALP series 1st label, red label with gold lettering. All later labels follow the characteristics of labels 2 – 6 of the ASD series. 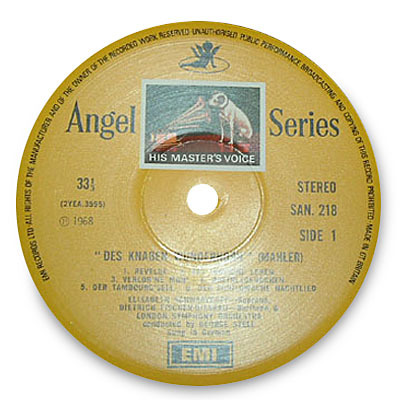 EMI Angel series 3rd label, known as the “yellow angel”, used from SAN 292-7 onwards. 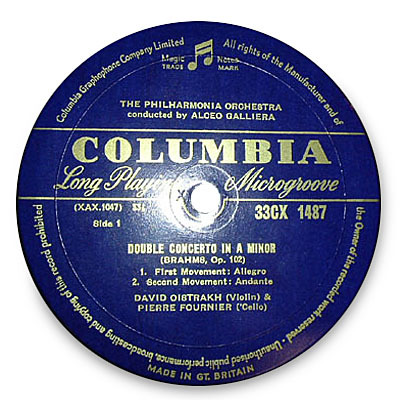 Columbia Sax series 1st label, “blue & silver”, used up to SAX 2500 with some anomalies after this number. 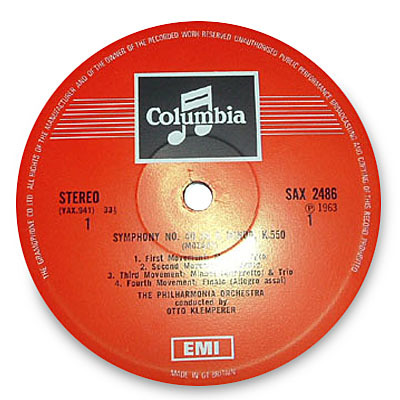 Columbia Sax series 2nd label, “early red”, used from SAX 2539 onwards with some anomalies before this number. 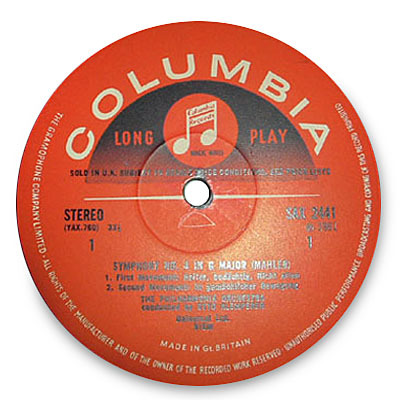 Columbia Sax series 3rd label, “late red”. 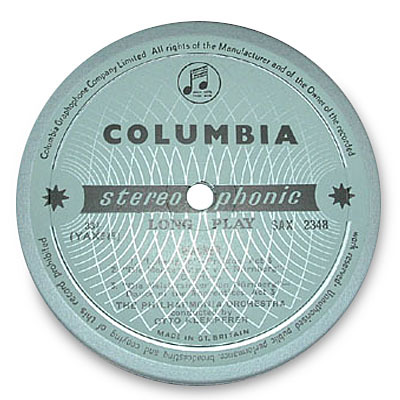 Columbia 33 CX mono series 1st label, “blue & gold”. Subsequent labels are the same as labels 2 & 3 of the SAX series. 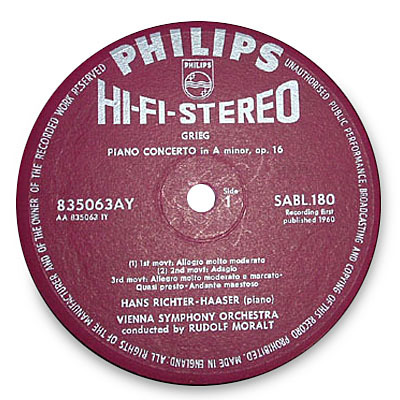 Phillips Hi-Fi stereo series 1st label, with catalogue numbers with letters SABL or AY. 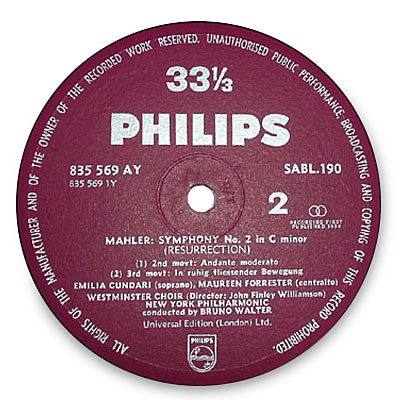 Phillips stereo 2nd label, plum. Phillips stereo series 3rd label. Various colours were used, eg. red/silver, red/white etc. RCA SB Living Stereo series 1st label, red/silver. Used from SB 2001 – SB 6580. 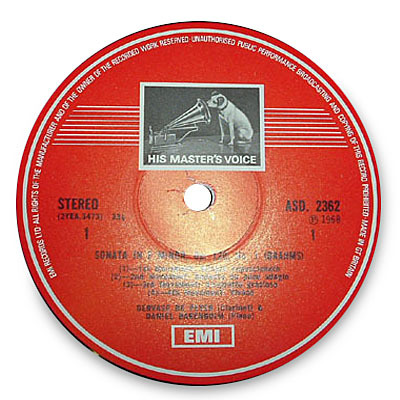 RCA SB series 2nd label, orange/silver with RCA in a black circle & groove inside the perimeter of the label. 3rd label = no groove. 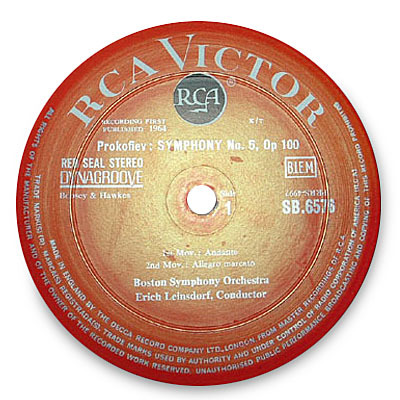 RCA SB series 4th label. RCA VICS series 1st label, plum, with groove inside the perimeter of the label. The 2nd label is the same but has no groove. 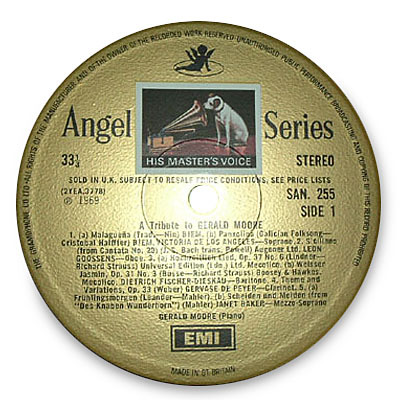 RCA VICS series 3rd label.